Are you a grant writer and willing to take on freelance work? We often receive requests for grant writers and keep an ongoing list of local contacts. If you’d like to be on the list, please email Katherine Wertheim, CFRE at katherine@werth-it.com. Feeling frazzled about the CFRE Application? Relax! Check out CFRE International's free webinar that will walk you through the process. Tuesday, January 8, 2019 | 10 a.m. - 11 a.m.
Webinar is free. Click here to register. Please join us for a terrific celebration of the 2018 year! The holiday luncheon and annual meeting will take place on Wednesday, Dec. 12 from 11:30 am to 1:30 pm at Santa Barbara Zoo Pavilion. Our local Santa Barbara-Ventura Chapter has multiple scholarships just waiting for you to apply! National Philanthropy Day: Save the Date ! 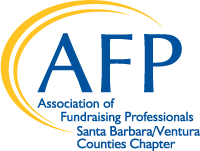 Our local celebration of National Philanthropy Day will take place on November, 15, 2018 in Ventura (location tbd). Please save the date and check back soon for updates! If you’ve been considering submitting a Certified Fund Raising Executive (CFRE) application, now is the time to put yours together! Submit your application by the July 15 deadline to get one step closer to becoming a CFRE. Once your application is approved, you’ll be eligible to sit for the CFRE exam. Learn more at www.cfre.org/apply.